Rishabh Corporation - Manufacturer of fiber glass epoxy sheet, fiber glass polyester sheet & smc sheet since 2003 in Mumbai, Maharashtra. Base Material : Glass Cloth,Mat,Woven Roving. Matrix : Epoxy Resin,Vinylester & Hardner. Thickness (mm) : 0.5 to 50. Standard Size L*W (mm) : 1000 x 1000,1000 x 1220,1220 x 1220. Matrix : Polyester Resin,Vinylester & Hardner Sheet. Colors : Light Green,Yellow,Red,Gray,Natural White and any other colours according tocustomers need. Excellent dielectric properties such as volume resistivity,surface resistivity,arc resistance and comparative tracking index. Non-hygroscopic and retain the dielectric properties even in presence of high humidity. Can withstand continuous temperatures up to 140 °C. Anti-corrosive and resistant to most acids,alkalies & chemicals. Weatherable and suitable for all kinds of climatic conditions. Thickness (mm) : 1.5 mm to 20 mm. Standard Size L*W (mm) : 1000 x 1000,1200 x 1200. 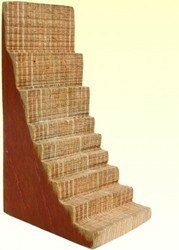 Other Colours : Can be offered as per Customer’s requirement against large quantities. Description : Thermosetting plastics Fiberglass Composite Tubing is a proprietary combination of fiberglass reinforcements and thermosetting polyester or vinylester resin systems. 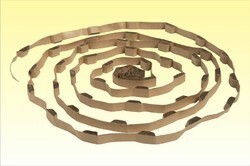 It is produced in more than 100 standard shapes. Properties : Glass Epoxy tube is light weight,Excellent electrical insulation properties,moisture resistant,good mechanical & impact strength,high dielectric strength,light weight,dimensionally stable,easy of machining,excellent tensile,compressive & flexural strengths excellent thermal stability & non magnetic material. Applications : Structural supports,piston rings,gears,spacers,bearing surfaces,insulating washers,sleeves,switch bases,panel boards, instrument housing,spools,transformer covers,insulation for x-ray,high voltage insulation’s. Base Material : Cotton Fabric,Kraft paper,Jute,Bamboo,Natural & Synthetic Fabrics. Matrix : Phenolic,Melamine & other Synthetic resins. 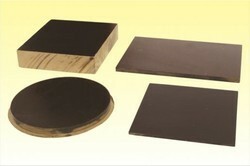 Products : Cotton phenolic Sheets,Paper phenolic Sheets. Thickness (mm) : 0.8 to 50. Standard Size L*W(mm) : 1220 X 2440 ,1220 X 2440. 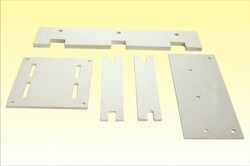 Electrical grade insulating press board & pre compressed & its components are primary insulation material used in power,distribution and special transformers.Sheet of base is converted to cylinders,strips,spacers,rings,washers,plates,machine formed and shaped parts, punching and laminates. Application: Insulation of high voltage transformers. Thickness (mm) : 1 to 40. Standard Size L*W(mm) : 1000 X 2000,2000 X 3000. 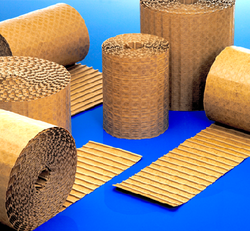 Clack Band is made from transformer press paper and TIV bevel strips and displays high purity and mechanical strength.Has good compatibility with liquid dielectrics and low shrinkage and compressibility.When used directly in the winding clackband facilitates ideal cooling by guiding the oil flow.It is made of trapezoidal blocks and two layers of paper because it is already assembled.Clackband avoids the possible shearing of spacing blocks and is accordingly easy and safe to handle during the winding process. Application :Installation cooling channels in power transformers. Insulation class A (105°C) according to VDE 0530 part 1. One side BL/U coated or uncoated. 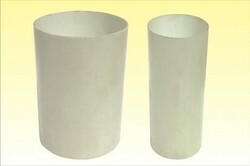 Duct strip called Thermoflow is used as a spacer element in the construction of oil filled distribution transformers windings.It is manufactured from thermally upgraded Press paper [Diamond pattern resin coated paper (DDP)]with Transformer board strips bonded to one side.When stored under clean room temperature condition the material have a shelf lifetime of twelve months. Duct Strip is available in *DDP and Plain Paper.A variety of configurations (paper thickness,strip dimensions,and overall width) is available. To meet the requirements of various industries,we offer an extensive range of Densified wood for Transformers.Our range can be customized as required by clients.